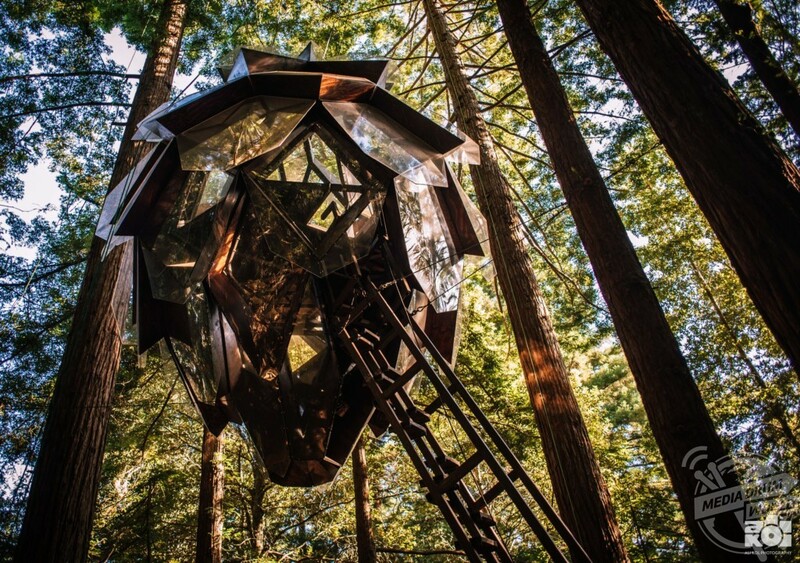 THIS REMARKABLE pinecone-shaped treehouse, which can be rented for £193 per night, is now up for sale but the asking price will only be made available upon request. 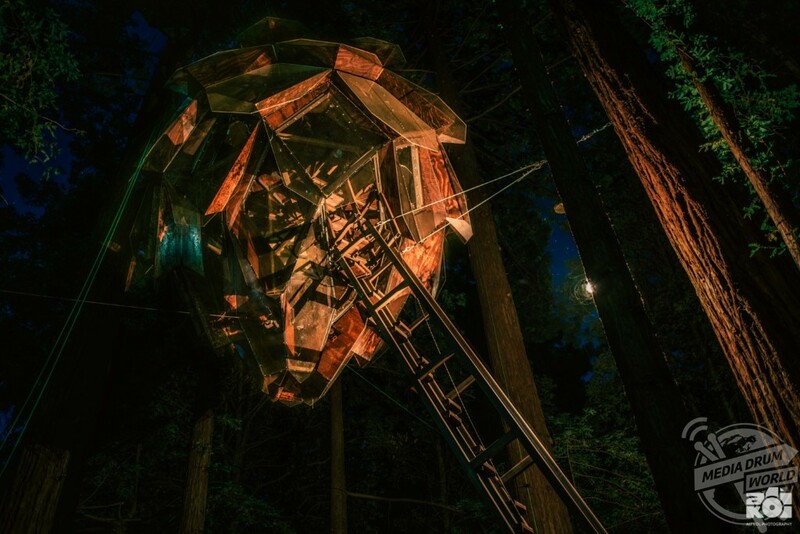 Incredible images show the treehouse hanging 60 feet above ground, illuminated at night and the interior with the double bed perched under the glass ceiling. 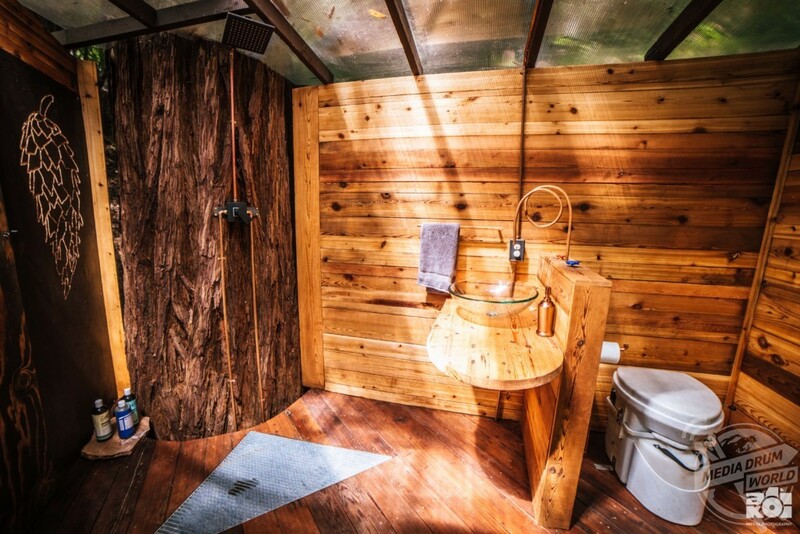 Other stunning shots show the adjoining treehouse at the bottom of the steps which hosts an off-grid bathroom including a compost toilet, sink and shower. 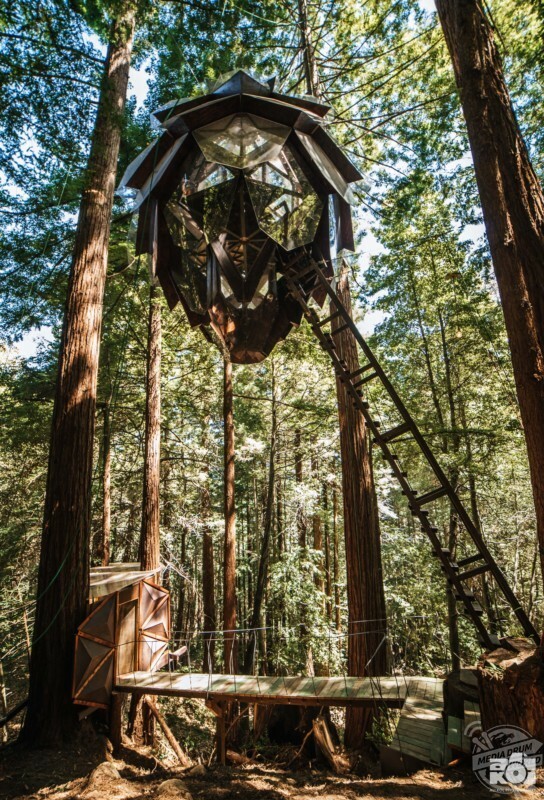 Pinecone Treehouse is located in the Red Wood forests of Bonny Doon in California, USA and is currently available for both rent and sale. A one-night stay will set you back £193 while if you want to make your stay permanent you can enquire for a price with sellers www.o2treehouse.com. “This unique structure was built with the intention of immersing all who enter in the boundless beauty of the natural world,” they said. 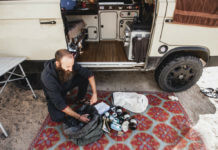 “The five and a half ton steel and wood geodesic pinecone shaped behemoth comes complete with a skilfully hand-crafted indoor/outdoor off-grid bathroom connected to the treehouse via wooden catwalk. 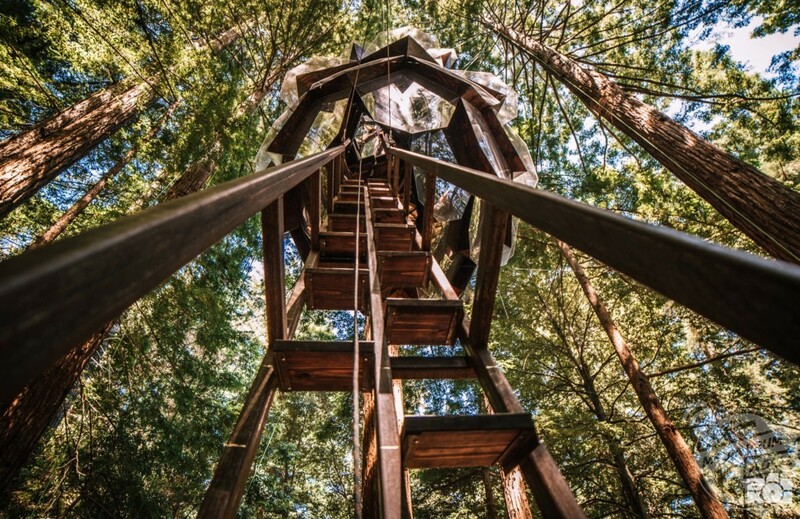 “Floating high in the branches of the magical Red Wood forests of Bonny Doon the Pinecone Treehouse will immerse you in 360 degree views of the forest’s upper canopy. 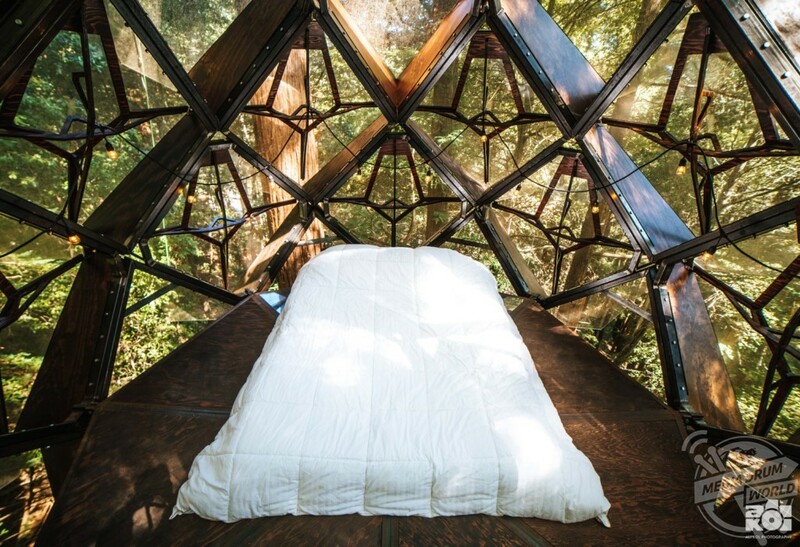 Allow the healing power of this forest environment and this awe inspiring structure to sing you into complete relaxation, imagination and reflection. 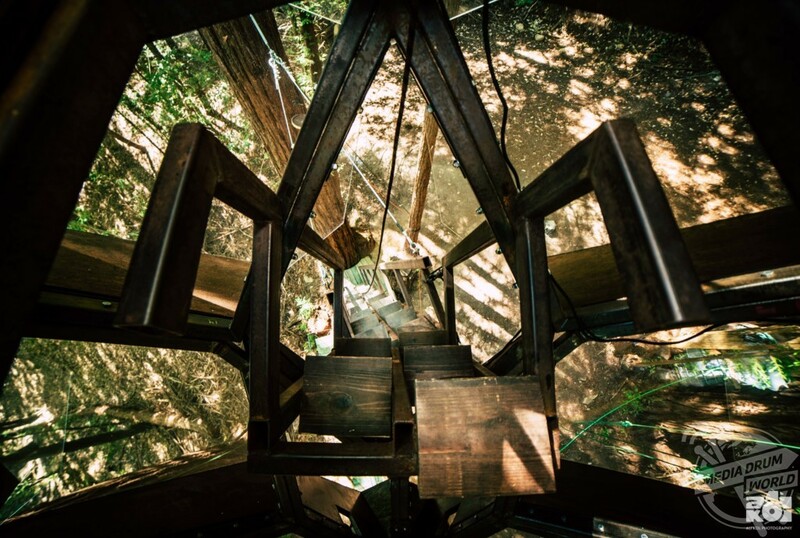 “The treehouse sits 35′ above ground on the uphill side and almost 60′ from the ground on the downhill side. 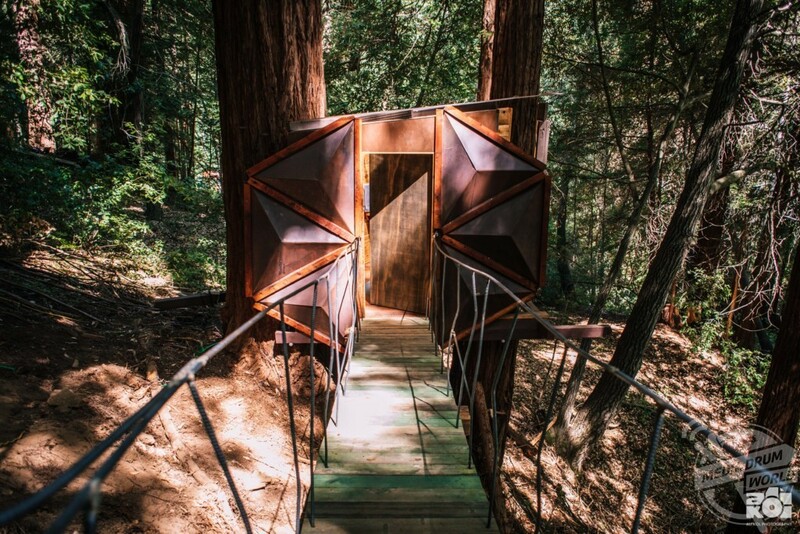 With two triangle shaped see through floor panels this treehouse makes one feel as though they are flying through the upper Redwood canopy. 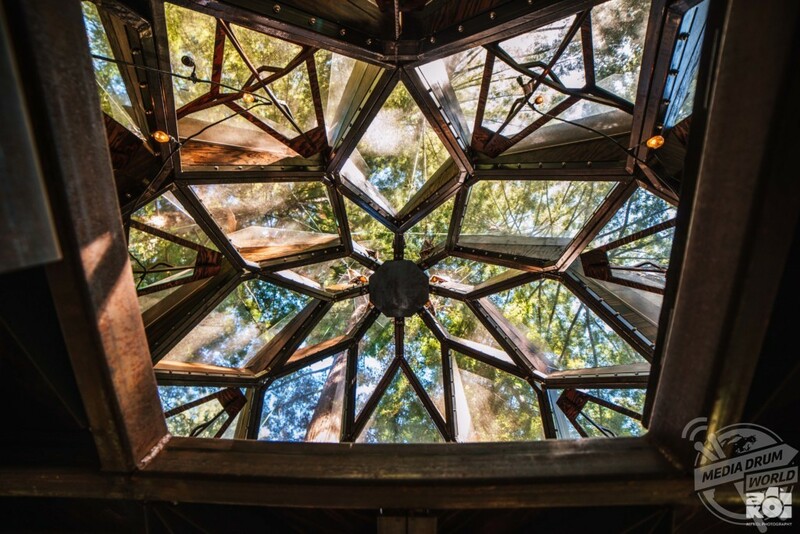 The treehouse was constructed by master treehouse-builder Dustin Feider, who has been building for years and loves exploring the possibilities of treehouse architecture, especially when incorporating ornate geometry into the design.